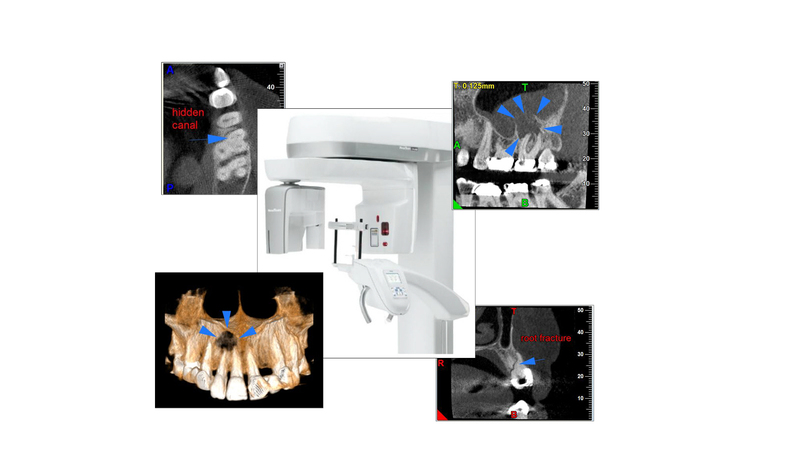 Cone Beam Computed Tomography (CBCT) is the latest sophisticated diagnostic tool being utilized in the field of dentistry. Traditional radiographs, even the new digital variety as utilized presently in our office, rely on two dimensions, height and width. What CBCT does is add the third dimension of depth. That makes it possible to identify extremely complex anatomical variations in teeth including multiple and split canals, perforations, separated instruments, resorption and other findings as well as changes in the bone. Our office utilizes the NewTom VG3 cone beam with a focused field of view and SafeBeam Technology thus limiting radiographic exposure. The concept of CBCT has revolutionized the field of endodontics and we are excited to be able to provide this advanced service to you.